Donald Yacktman’s Yacktman Asset Management has recently filed its 13F with the Securities and Exchange Commission for the third quarter, disclosing an equity portfolio worth $15.24 billion. 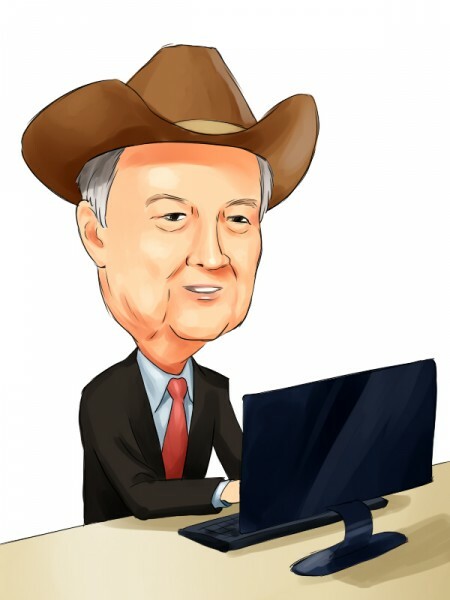 Texas-based Yacktman Asset Management was founded in 1992 by Donald Yacktman and its investment philosophy is focused on valuation, bottom up stock selection, and protecting and growing capital. Yacktman’s portfolio consists of 47 long positions, with 42% represented by consumer staples. The technology sector amassed 19% of Yacktman’s equity portfolio at the end of September and in this article we are going to analyze Yacktman’s top five tech picks. Yacktman Asset Management unloaded some 29,087 shares of HP Inc (NYSE:HPQ) during the third quarter. Last month, Hewlett-Packard completed the split of the company’s PC and printer business from software and enterprise division. Recently, HP Inc (NYSE:HPQ), which focuses on the PC and printers business, has unveiled its first product, the ZBook Studio, a 15.6-inch laptop with a 4K screen designed for mobile workers. HP is expected to release more products in the coming days. Shares of HP Inc (NYSE:HPQ)’s stock have lost by more than 67% year-to-date. Another investor betting big on HP Inc is Richard S. Pzena’s Pzena Investment Management, which holds 19.14 million shares of the company as of the end of the third quarter. Yacktman Asset Management reduced its position in Comcast Corporation (NASDAQ:CMCSK) by around 4% over the quarter. The company’s financial position looks impressive, with its consolidated revenue for nine months ended September 30 increasing by 8.3% to $55.3 billion, compared to the same period of the prior year. Its consolidated operating income also rose by an annual 7.9% to $12.0 billion. During the first nine months, Comcast Corporation (NASDAQ:CMCSK) has repurchased 99.6 million of its common shares for $5.8 billion. The company plans to repurchase a total of $6.75 billion of its common shares during 2015. Shares of Comcast Corporation (NASDAQ:CMCSK) have gained 5.17% year-to-date. Comcast is also a favorite stock of Peter Rathjens, Bruce Clarke and John Campbell’s Arrowstreet Capital, which upped its stake in Comcast by 20% to 7.3 million shares during the third quarter. We will discuss Yacktman Asset Management’s top three tech stocks on the next page.